John Henry paints with large brushstrokes the story of the evangelization carried out, first by the Irish Church and later the Anglo-Saxon Church. He does this by tracing the story of great men and their achievements. 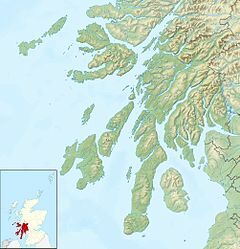 In the 6th century Irish monks carried the Gospel to various parts of Europe: St. Columba who founded various monasteries in Ireland evangelized the Northern Picts (Northern Scotland) and founded the famous monastery at Iona on a small island off the western coast of Scotland; St. Fridolin worked in France as far as the Rhine, and St. Columbanus traveled to France, Burgundy, Switzerland and Lombardy. The Irish missionaries also evangelized parts of Anglo-Saxon England. Venerable Bede (672-735) wrote: “The foundation of many of the English sees, is due to Irishmen; the Northumbrian diocese was for many years governed by them, and the abbey of Lindisfarne, which was peopled by Irish monks and their Saxon disciples, spread far around it its all-blessing influence.” The Abbey of Lindisfarne, founded by St. Aidan from Iona was on an island off the eastern coast of Scotland). Bede described the piety, zeal and material detachment of the Irish bishops, priests and monks who took the Gospel to Northumbria (today Northern England and South-Eastern Scotland), and who erected monasteries there. Newman narrates how many Anglo-Saxons went to Ireland to live and study in the Irish monasteries and schools, where they were well received. Archbishop Theodore was surrounded by Anglo-Saxon scholars who had studied in Ireland; St. Egbert and Blessed Willebrod were among them. Two English priests, both name Ewald, who had studied in Ireland took the Gospel to the German Saxons in 690, and received the crown of martrydom. An Irishman, Mailduf, founded in 670 a school which later became the famed Abbey of Malmesbury in South West England. Among its scholars was St. Aldhelm, afterwards Abbot of Malmesbury and the first bishop of Sherburne (Salisbury), acclaimed by Alfred two centuries later as the best Anglo-Saxon poet. Newman asserts that glory of the Irish Church was followed by the glory of the Anglo-Saxon Church, and he masterfully describes the work of the missionaries. According to Newman both nations had a different character and talent; the Irish resembling more the Greek, and the Anglo-Saxons the Romans. According to Newman when Charlesmagne rose to power on the continent the mission of two islands of preserving learning was at an end; the Danes began to descend upon these islands. But he notes, that it was the Anglo-Saxon Alcuin, and the Irish Clement who were the first and second rectors of the Studium of Paris. And in the same period the Irish John Scotus (Eurigena) who was sent to found the school of Pavia, and the Irish Dungall, a monk of St. Denis who defeated the heretical iconoclasm of Bishop Claudius of Turin. This impressive record of the Irish and English Church is a tribute to the hard work and ideal of holiness of the monasteries and their monks, to their missionary zeal and preservation of learning. For most people it is an unheard story or at best a forgotten one that must be retold.